Kilingili Primary School students trying out the newly constructed well. Since 2016, the bulk of our Advent Conspiracy offering has gone to help bring clean water to communities in Western Kenya through our partnership with the Water Project. The following is an update from one such project at Kilingili Primary School, installed in May 2017 by our partner, Wilson Kipchoge. A year ago, contributions to The Water Project helped build a rainwater catchment tank and latrines for the Kilingili Primary School in Western Kenya. “Since the projects were implemented, our pupils look healthier and alert even in class. This evidence [is] a clear indication that the time wasted previously in search of water has been converted into learning,” Headteacher John Temba said. Installation of the water tank and latrines is only one step along the journey toward sustainable access to clean water. The Water Project and WEWASAFO (our trusted local partner) are committed to consistent monitoring of each water source. Our monitoring and evaluation program allows us to maintain our relationships with communities by visiting up to four times each year to ensure that the water points are safe and reliable. One project is just a drop in the bucket toward ending the global water crisis, but the ripple effects of this project are truly astounding. This tank at Kilingili Primary School is changing many lives. “Sanitation and hygiene challenges we faced before are now a forgotten story. 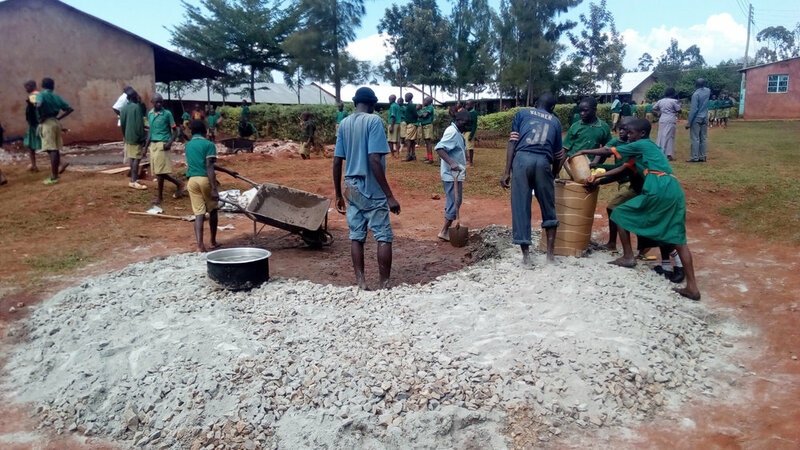 The school compound looks so pleasant and good with the presence of a very big tank and new latrines,” said Mr. Temba. This year’s Advent Conspiracy offering will be collected during all services on Sunday, December 16th. However, you can give at any time during the Advent season at idcpdx.com/give, on the Imago Dei App or using the buckets on the communion tables at Central City Campus. To see more stories, download “Impact Snapshot by The Water Project” on the App Store or Google Play or visit idcpdx.com/water.